The Rev Bill Mok was born in mainland China. He moved to Canada when he was seventeen. After completing high school at Vancouver, he went to study electrical engineering at McMaster University. He became a Christian during his first year at McMaster. He worked as a software engineer for seven years in various high tech firms in both Canada and USA after his undergraduate study. In 2005, he went to Tyndale Seminary for full time study on Master of Divinity in Chinese and Pastoral Ministry. After pastoring community churches for two years after his graduation from Tyndale, he went to service as lay pastor at St Christopher's Anglican Church in 2010, then senior lay pastor at St Elizabeth's Anglican Church 2013. 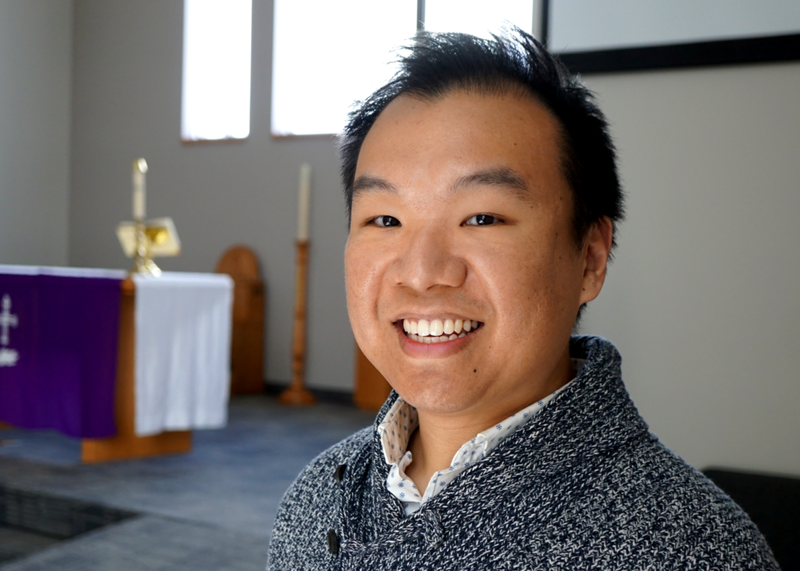 The Rev Bill Mok was ordained a deacon in June 2015. He was ordained a priest in Nov 2015; at the same time, he was appointed Incumbent of the parish. The passion of the Rev Bill Mok is to make disciples for Christ. The Rev Bill Mok and his wife, Jenny have two children. Paul is our People's Warden. He has been in this position for nearly 2 years. His main responsibilities as warden include taking care of the building and any matters that involve property management. He also provides guidance and supports the Mission & Outreach, Faith Formation and Small Group Ministries. Chivas, our Deputy Warden, assists the leadership team representing the views from the Cantonese congregation. His responsibilities include looking after the Social, Caring and Welcome Ministries. Yvonne Zheng was born in Hong Kong and came to Canada in 1982. She studied at University of Toronto and holds a bachelor degree in Science and a bachelor degree in Education. She is a retired teacher from the Peel District School Board and have taught grade 1, kindergarten and is a specialist in Special Education and English as a Second Language. She has been our Sunday School superintendent since 2014. Dr. Joanne Loo, Music Director: Dr. Joanne Loo has been singing in the choir and playing the organ at St. Elizabeth’s since the church was founded in 1992. She became the Music Director in 2001. Currently, she works together with about 25 volunteer musicians in the Music Ministry, and oversees the music needs for all three congregations. Joanne’s Ph.D. work centred on the genetics of melanoma (a type of skin cancer). Nowadays, she develops educational tools and manages the website for a genetics clinic at the Toronto General Hospital. Even with a busy schedule, she enjoys playing the piano and singing with her family.